Educate, Influence and Inspire through the celebration of accomplishment, education and continuous professional development. 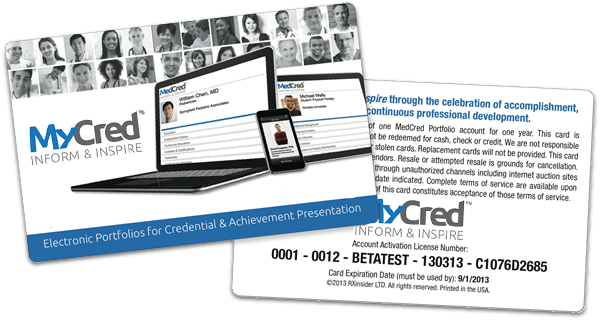 What is a MyCred Portfolio? 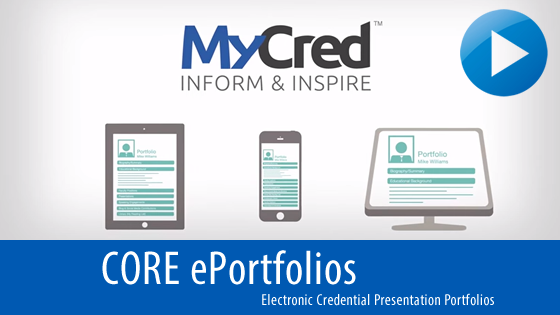 MyCred Portfolios are electronic credential and achievement presentation portfolios designed to store and present an individual’s educational, professional, and experiential accomplishments. 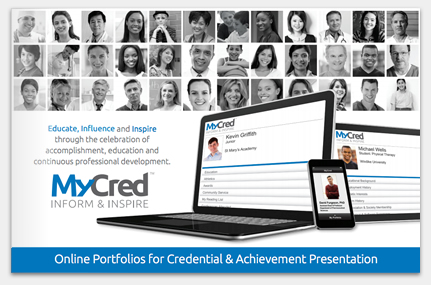 MyCred Portfolios serve to educate, influence, and inspire an individual’s viewing audience leading to stronger professional relationships and positive outcomes. 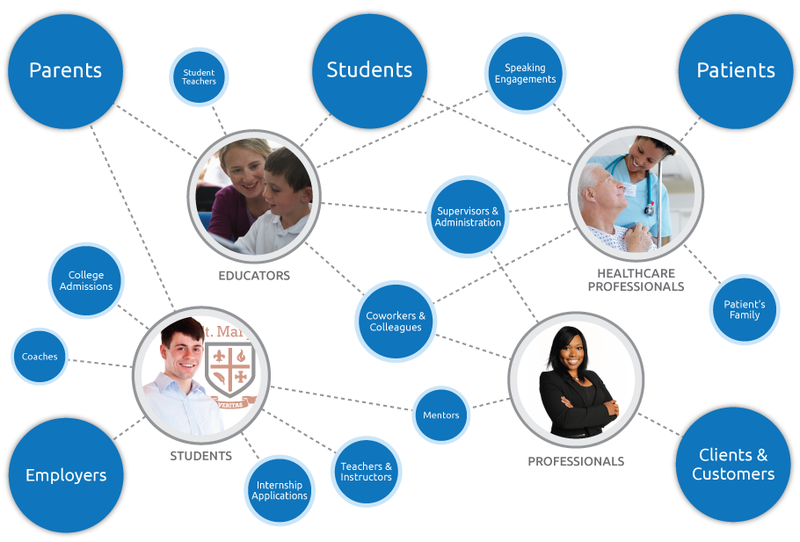 MyCred Portfolios offer the flexibility, scalability, and portability to support an individual throughout their continuum of education and professional practice. 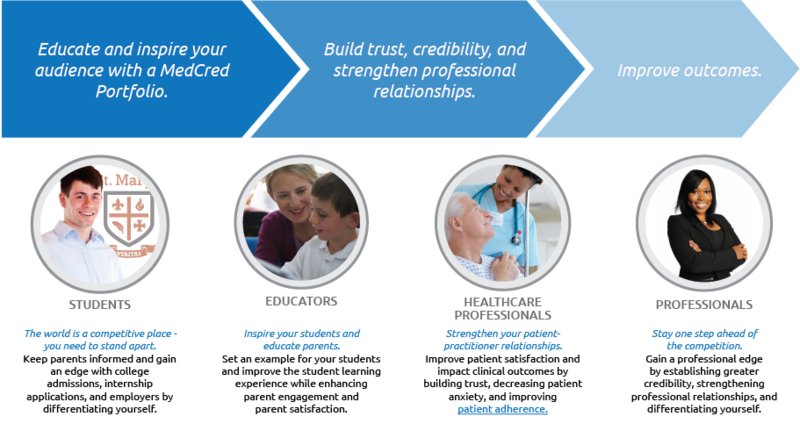 These qualities empower healthcare practitioners, educators, professionals, and students to share their accomplishments with colleagues, patients, students, employers, mentors, and parents in a practical, secure, and accessible format. 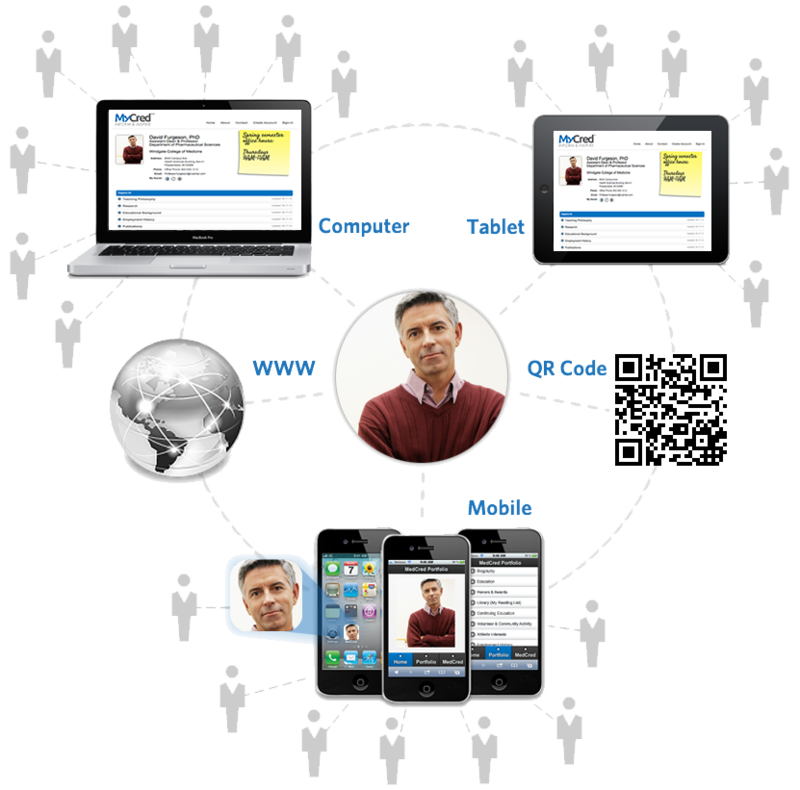 Is MyCred a Social Network? does not sell access to portfolio content or user information. does not serve as a sourcing portal for headhunters, sales people, and advertisers. Contact us for bulk license rates, reseller opportunities, endorsement opportunities, and bulk gift/promotional card sales. (less any promotional or endorsement discounts).